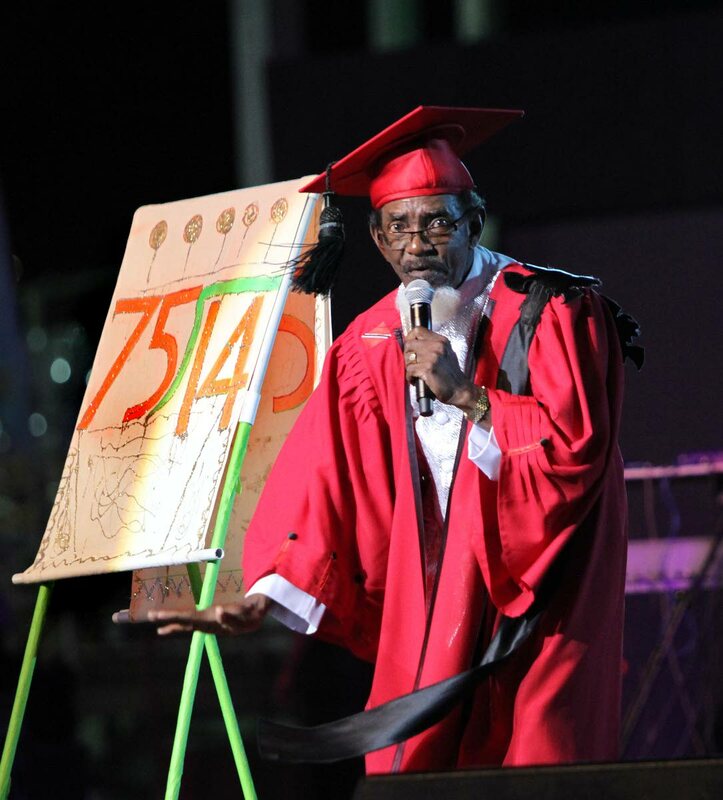 KAISO KING: Dr Hollis “Chalkdust” Liverpool in his performance of Learn from Arithmetic, a song denouncing child marriage, to win his ninth Calypso Monarch crown at the 2017 final. The controversy surrounding Nermal “Massive” Gosein’s song, Rowlee Mudda Count, has raised fresh debate about what constitutes a good calypso. And while some calypsonians argue that politicians have historically taken a beating in the artform and that many people still do not understand calypso, others contend exponents must be guided by their consciences with respect to material that could be considered distasteful or offensive. The public’s criticism of Gosein’s tune culminated in a decision by the Telecommunications Authority of Trinidad and Tobago (TATT), on Friday, to prevent it from being played on the airwaves. In a letter to Trinidad and Tobago Publishers and Broadcasters Association (TTPBA) president Daren Lee Sing, TATT CEO Dr John Prince said the song was highly derogatory to women and called on the association to avoid breaching Clause D9 of the concession granted to broadcasters. Gosein has since accused the Dr Keith Rowley-led administration of political interference. TATT’s move is likely to set a new precedent in the industry. The TTPBA has said it would meet this week to discuss the issue. Veteran calypsonian Michael Osuna, better known as Sugar Aloes, believes that while jabs at politicians in calypso is not a new phenomenon, calypsonians must exercise responsibility in their content. “I think everybody has a responsibility that they are supposed to adhere to and hold the path where respect is concerned regardless of what,” he said in a Sunday Newsday interview. Osuna said this was one of the reasons why he has taken a conscious decision not to sing political songs over the years. Saying he could not understand the controversy surrounding the song, Osuna brushed it off as a nine-day wonder. Osuna, manager of the Revue, made it clear he has no opinion on Gosein’s song. However, he observed that the furore over the selection reminded him of the feedback he, too, received to some his own contributions over the years. WATCH YOUR CONTENTS: Former calypso monarch and Revue manager Michael “Sugar Aloes” Osuna says calypsonians must be mindful of the content of their songs. Unlike Gosein’s Rowlee Mudda Count, Osuna said, his songs are based on things he has seen with his own eyes. Osuna said there also was a race component to the controversy. He recalled that many East Indians had stopped coming to the tents “when we started taking shots at them. Even so, Osuna said every prime minister, regardless of race, has received blows. For nine-time monarch Dr Hollis Liverpool (Chalkdust), said many people still don’t understand calypso. However, he said the issue was one of taste. Liverpool dismissed media reports which suggested he had attacked Persad-Bissessar and East Indians, when she was prime minister. Historian Prof Emeritus Bridget Brereton said Rowlee Mudda Count was a disgusting song. “I have not heard it. I have only read the lyrics in the papers. But from reading the lyrics, it seems a pretty disgusting song,” she said. However, Brereton said it was “completely futile” to attempt to censor calypso or chutney. She said the public must decide if they want to listen to the song or not. Curtis Conyette, who goes by the sobriquet Dirty Curty, said the furore over Rowlee Mudda Count, was not worth talking about. “In my opinion, Massive eh have no ideas and it’s nothing to talk about,” said Conyette, an executive member of the Kaiso Karavan. Conyette said calypsonians have long pushed the boundaries in their offerings, so much so that some of them were forced to modify their lyrics. Conyette said over the years, race and politics have led people to become very thin-skinned. “But you don’t have to like the people. They paying you to sing and now Aloes has been ostracised along with De Fosto (Winston Scarborough) and Crazy. 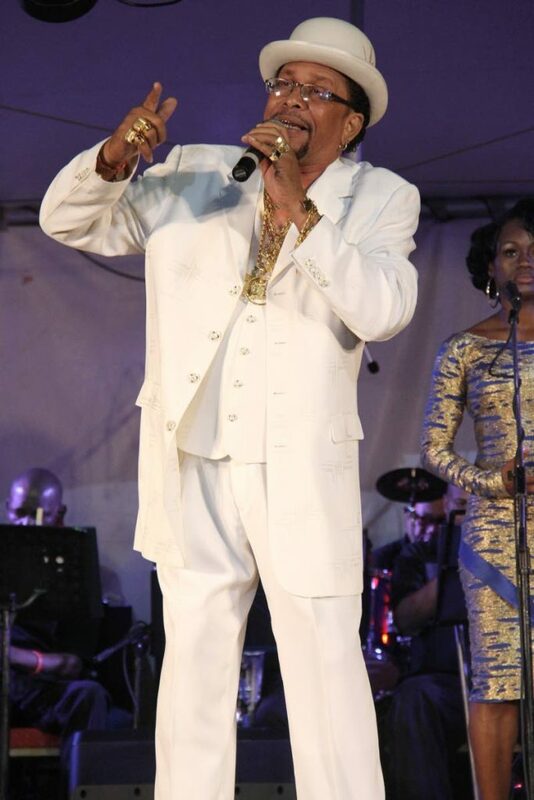 Conyette said he would not be surprised if Gosein made it to the semifinals of the National Calypso Monarch competition at Skinner Park, San Fernando. Gosein, who is set to participate in the Chutney Soca Monarch competition, also has signalled his intention to contest the National Calypso Monarch competition. Conyette regarded Gosein’s song as simple. Reply to "The great calypso debate…again"